This is a summary of each state’s requirements for providing notice regarding curable lease violations prior to filing an eviction. Under most states, tenants are entitled to 1) be notified of the lease violation and 2) be given a certain amount of time to correct the problem or vacate before an eviction is filed (known as “cure or quit”). However, some violations under certain states do not allow for a chance to cure, tenants must simply leave or be evicted. For a list of lease violations permitting the use of unconditional quit notices, see State Eviction Laws for Incurable Violations. Alabama Ala. Code § 35-A-421 14 calendar days, but if last day falls on a weekend or official holiday, the last day will be the court’s next official business day. 34.03.220 10 days for violators of agreement materially affecting health and safety; 3 days to cure for failing to pay utility bills, resulting in shut-off, additional 2 days to vacate. Arizona Ariz. Rev. Stat. § 33-1368 5 days for violations materially affecting health and safety; 10 days for other violations of the lease terms. Arkansas No statute Landlord can terminate with an unconditional quit notice. § 13-40-104(1)(d.5), (e) 3 days (no cure for certain substantial violations). Connecticut Conn. Gen. Stat. Ann. § 47a-15 15 days; no right to cure for nonpayment of rent or serious nuisance. Florida Fla. Stat. Ann. § 83.56(2) 7 days (no cure for certain substantial violations). Georgia No statute Landlord can terminate with an Unconditional Quit notice. Hawaii Haw. Rev. Stat. §§ 521-72, 666-3 10 days notice to cure: if it has not ceased, must wait another 20 days to file for eviction; 24 hours to cease a nuisance: if it has not ceased in 24 hours, 5 days to cure before filing for eviction. Indiana Ind. Code Ann. 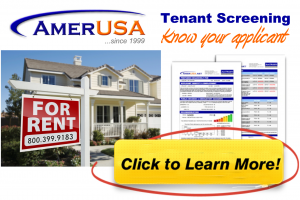 § 32-31-7-7 Landlord must give the tenant a “reasonable amount of time” to cure. Kansas Kan. Stat. Ann. § 58-2564(a) 14 days to cure and an additional 16 to vacate. Maryland Md. Real Prop. Code Ann. § 8-402.1 30 days unless breach poses clear and imminent danger, then 14 days (no cure). Massachusetts No statute Landlord can terminate with an Unconditional Quit notice. Michigan Mich. Comp. Laws § 600.5714(c) 30 days for tenant at will or if lease provides for termination for violations of its provisions. Minnesota Minn. Stat. Ann. § 504B.285 (Subd.4) Landlord can immediately file for eviction. Montana Mont. Code Ann. § 70-24-422 14 days; 3 days if unauthorized pet or person on premises. Nebraska Neb. Rev. Stat. § 76-1431 14 days to cure, 16 additional days to vacate. Nevada Nev. Rev. Stat. Ann. § 40.2516 3 days to cure, 2 additional days to vacate. § 753(4)[NYC] Regulated units: 10 days or as set by applicable rent regulation. Nonregulated units: No statute. Lease sets applicable cure and/or termination notice periods. North Carolina No statute Landlord can terminate with an Unconditional Quit notice if term is material. (B) 10 days to cure, additional 5 days to vacate. Oregon Ore. Rev. Stat. §§ 90.392, 90.405 14 days to cure, additional 16 days to vacate; 10 days to remove an illegal pet. Rhode Island R.I. Gen. Laws § 34-18-36 20 days for material noncompliance. South Dakota S.D. Codified Laws Ann. § 21-16-1(7) Landlord can file eviction lawsuit immediately, without giving tenant an opportunity to cure, if tenant violates a lease clause that provides for immediate termination upon violation. Tennessee Tenn. Code Ann. § 66-28-505(d) 14 days to cure; tenant has an additional 16 to vacate (does not apply if substantially the same act or omission was the subject of a similar notice within the past six months). Virginia Va. Code Ann. § 55-248.31 21 days to cure, additional 9 to quit. West Virginia W.Va. Code § 55-3A-1 Landlord can immediately file for eviction; no notice is required.